The squinty eyes of justice. You may have missed this story that was announced late Friday afternoon ahead of a three-day weekend, which is exactly why it was announced late on a Friday afternoon before the start of a three-day weekend: Arapahoe County District Attorney George Brauchler dropped all remaining charges against former El Paso County Sheriff Terry “The Shirtless Sheriff” Maketa. Prosecutors on Friday filed to dismiss the two remaining charges against former El Paso County Sheriff Terry Maketa, signaling a possible close to the alleged extortion case. …Maketa was originally indicted by an El Paso County grand jury in May 2016 on nine counts relating to the allegation that he threatened to terminate a $5.2 million contract between the sheriff’s office and Correctional Healthcare Companies, Inc., which was the jail’s health care provider at the time. Colorado Springs residents briefly attempted a recall campaign to rid themselves of Maketa after multiple charges of sexual misconduct and cronyism that led to some $4 million dollars in legal claims from former employees (click here for more details on the allegations). Maketa ended up serving most of his final term in office while then-District Attorney Dan May twiddled his thumbs in response to the many, many claims of impropriety against Maketa, and in 2016 the case was kicked over to District Attorney George Brauchler in the 18th Judicial District. 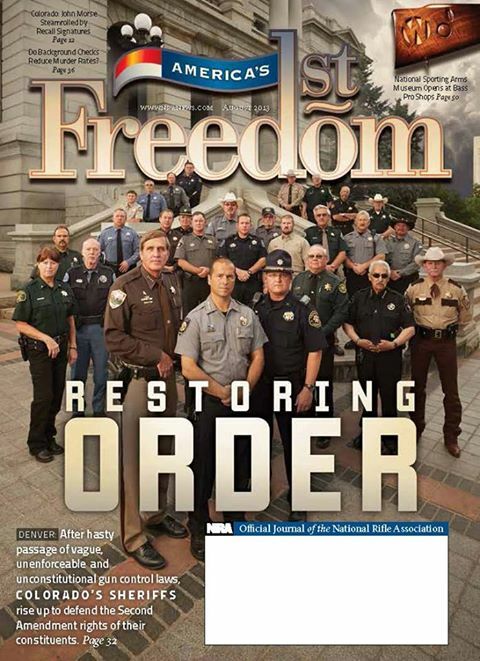 That’s Terry Maketa front and center in 2013 on the cover of “America’s First Freedom,” the National Rifle Association’s magazine. 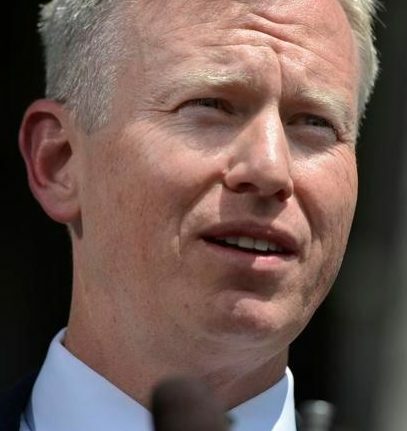 Brauchler has already earned a reputation as someone who is more than willing to play loose with the facts in order to make himself look good, and he’s opened himself up to critics who say that he’s just not a very good prosecutor and should not be elected as the chief law enforcement officer of Colorado (not to mention critics from his own party who worry about his ability to effectively do his job while running for statewide office). Brauchler’s complete failure to hold Maketa accountable is another black mark on his time as Arapahoe County District Attorney, which includes his failure to get the death penalty for Aurora Theater shooter James Holmes and Brauchler’s litany of excuses in the aftermath of that trial. Following a disastrous attempt at running for Governor, Brauchler is now seeking the office of Attorney General. It probably goes without saying that he’s going to have a difficult time explaining to voters why he should be named the top law enforcement officer in Colorado despite his many high-profile prosecutorial failures. The best defense a criminal can have in Colorado is a Brauchler prosecution . . .
. . . I’m guessing Baumgardner is hoping to hire him to prosecute those sexual harassment allegations?